This week I had the chance to test the Baby Jogger City Mini GT for two whole days. This pram has a 4.9 star rating on Amazon (!) and is a pram I see a lot of mother use in London. I particularly like it because of its folding mechanism, as I wrote in my guide on how to choose the perfect pram. 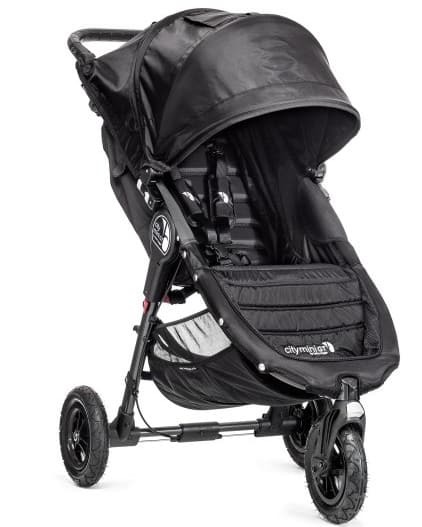 I have used it in all possible scenarios to make sure it is a suitable pram for life in the city: riding the bus in rush hour, brought it with me in the car, I even took it to the park to test it on uneven, rough surfaces – in other words, the full City Mum treatment. 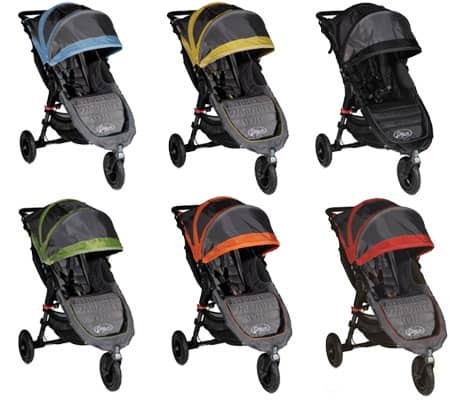 As a bonus, my son spent a good 2 hours sleeping in it as well so it’s time for share my thoughts on the Baby Jogger City Mini GT in this review. The seat on the Baby Jogger City Mini GT is quite big, which is great for the comfort of the baby. The backrest is 53cm high, the seat 24cm deep and 30cm in breadth, and the footrest 25cm long. This gives you a combined length of 102cm – incredible! The backrest is freely adjustable and can the height can be regulated by pulling the strap at the back. The strap itself is easy to adjust as well and you can pull it all the way our without the backrest moving with it. When you push the backrest down it actually goes all the way down, which not always the case. However, when you push back up, it doesn’t really go all the way up in a vertical position – it’s stays titles slightly backward. This happens on the Bugaboo Bee as well so that’s something to bear in mind. The fabric fold nicely on the sides when you raise the backrest and I never felt the fabric was in the way. There is also a net behind the child to protect your child from insects and other smaller bits and pieces that can bounce up from the ground. Although, the holes in the net are too big so insects crawl through it easily. On the other hand, air circulation is good for hot days. When it’s too windy outside you can always use the wind cover that comes with it. This can be found under the handle and is attached with velcro patches underneath the backrest. Behind the backrest there is also a satchel for placing smaller items like nappies, bottles, etc. The fabric on the Baby Jogger City Mini GT is rather unusual and has this sort of glossy feel to it. It’s not necessarily ugly but I am not sure I like it to be honest. The upside of it is that things don’t get stuck and it is easy to clean. Since it’s rather thin, folding this pushchair becomes easier as well. The good things is that you can choose from so many colours! Baby Jogger City Mini GT has a large wonderful cover – one of the best I have seen. When the top is extended halfway it covers just as much as a normal top would cover while extended fully. 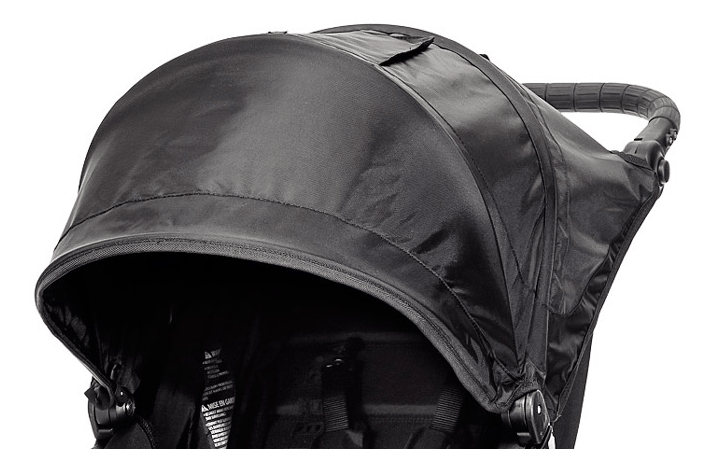 Naturally, this gives your baby a better protection from the elements than with any other pram, even on the sides. Your child is pretty much covered completely when you fold the cover all the way down. This is great if you have sun shining straight into the pram. The downside is that your baby won’t see anything at all, which is why I only used it while my son was sleeping. To fold Baby Jogger City Mini GT, unbuckle the safety harnesses on each side and make sure the handle is facing the same way as the chassis. Then just pull where it says “Pull to Fold” and that’s it. Basically, gravity does the job (and you, a little bit as well). While folded it locks automatically but make sure the fabric isn’t stuck. For it to fold fully however, like I said, the basket needs to be empty fully. This is actually quite annoying if you are in a rush. You CAN fold it with things still inside but it won’t become as flat as it can. The good thing is that, while folded, nothing falls out from the basket below. The bad things is that the stuff you have placed on the net pocket does fall out indeed. I think I dropped my phone 4 times before I remembered to take it out before. When I was writing this review I looked around for what other mums have written about it. I found 8 reviews on Amazon with an average score is 4.5 out of fine- mainly positive comments. It really seems like most customers like this pram, if it was bad you would now in Amazon because people love to give bad reviews. Although the comments on Amazon were mainly positive, one user said “my wife finds a bit heavy due to entire weight within a single unit in contrast to iCandy cherry where it was split between base unit and seat“. I didn’t find it heavy at all so perhaps someone needs to do some pull ups :). The other reviews concurred with what I feel about the Baby Jogger City Mini GT, “I love the quick fold mechanism particularly when you also have a toddler to control at the same time!” and “a great value and practical pushchair!“, “great buggy“. To me, this pram is a pretty safe bet. 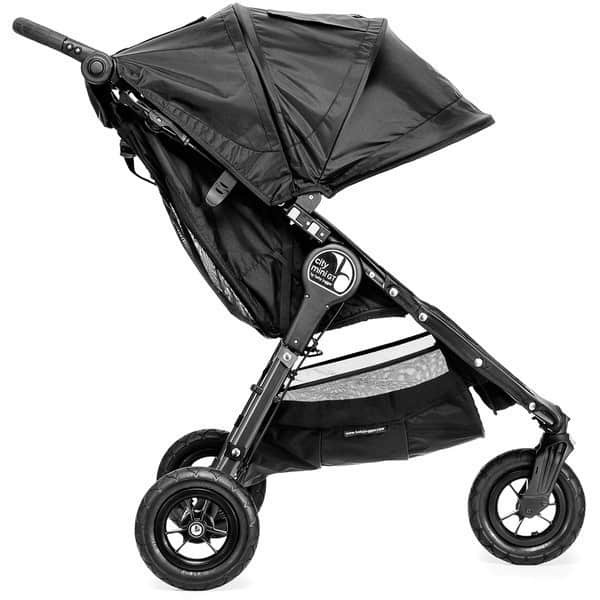 It’s a versatile pram that folds well, is easy to handle and has a great cover for all weather. It is a little sportier than classy, I have to say, but if you are not worried about the looks too much, I would gladly recommend this pram. This pram gives you and your baby a smooth comfortable ride. The rest is adjustable which makes it easy to sleep in. The innovative folding mechanism allows you to fold the pram quickly and bring it with you at all times. BabyJogger City Mini GT is a pram that is suitable for the parents who travel and are mobile and want something that allows them to bring the pram with them without hassle. If you need a pram that goes almost everywhere and in which your child can sit forward and be protected at all times, this is a pram for you.